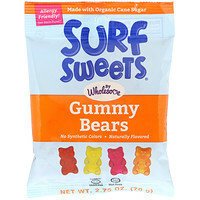 The sun's up and everyone's heading for Surf Sweets. Born in California with a mind for healthier living and a heart for a healthier planet, Surf Sweets are fruitfully delicious candies made with the highest quality organic ingredients and plenty of sunshiny vitamin C. All natural. All good. 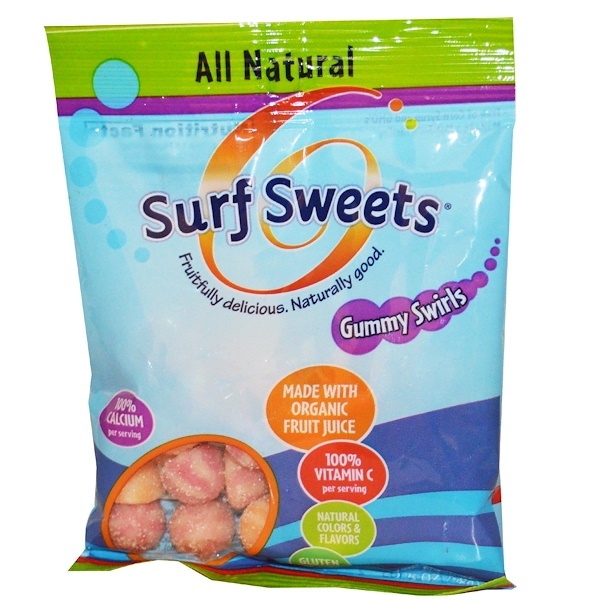 So grab your Surf Sweets and dive into some yummy fun. The forecast is bright and delicious. 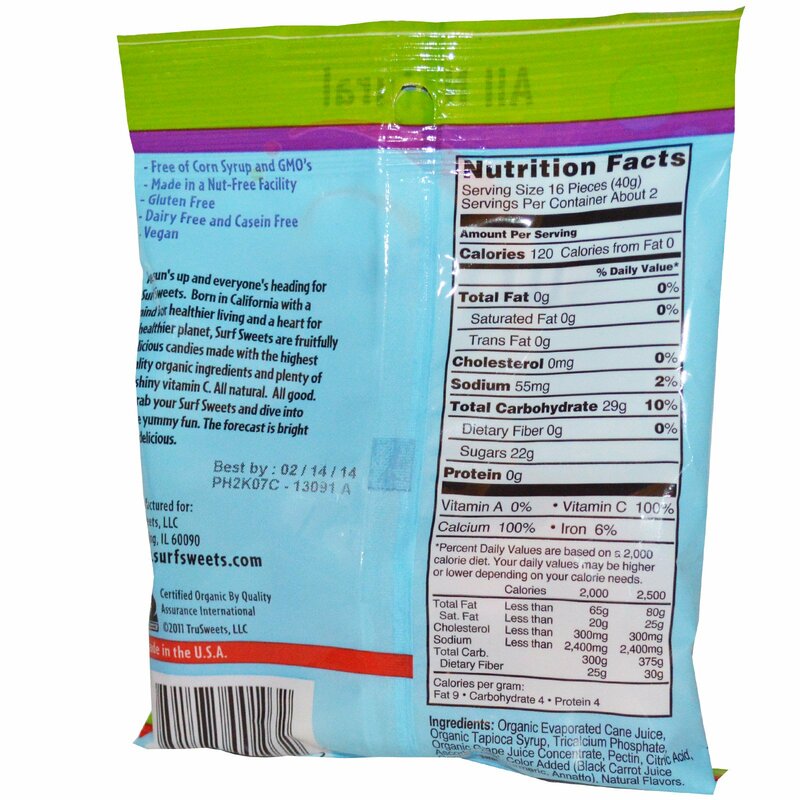 Organic evaporated cane juice, organic tapioca syrup, tricalcium phosphate, organic grape juice concentrate, pectin, citric acid, ascorbic acid, color added (black carrot juice concentrate, turmeric, annatto), natural flavors.